Looking for movie tickets? 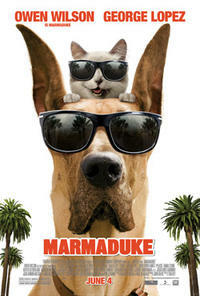 Enter your location to see which movie theaters are playing Marmaduke near you. A lovable Great Dane's life turns topsy-turvy when his family moves from Kansas to California. America's favorite Great Dane is more "O.C." than "Lassie."